There’s only one way to describe traveling in a luxurious Sedan - perfection. When you’re flying you want to get to the airport with ease. You want to be there on time, you don’t want to have to worry about parking or public transport and you want to travel in comfort. This is why Phoenix sedans make for the perfect mode of transport for airport travel. A luxurious sedan town car will pick you up from your house and unlike a cab, sedan car services pride themselves on always being on time, every time. Your bags will be taken care of by the chauffeur who will always be polite and professional. Not to mention the gorgeous sedan you’ll have the pleasure of traveling in, you really won’t want to get out. 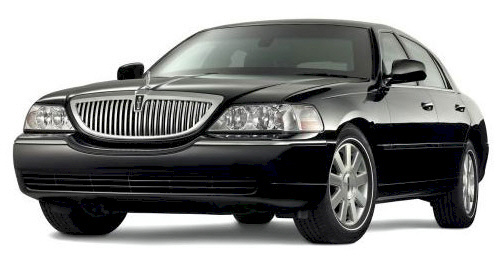 Town car services also offer fixed prices so you won’t have to worry about the fare. Traveling by sedan is also the perfect way to get to anywhere in Arizona! If you’re traveling to any of the beautiful cities in Arizona and don’t want to go to the hassle of renting a car, why not travel in complete comfort? You’ll get a fast, reliable and friendly service at a fixed price. You will have all the benefits of traveling in a sedan town car, like passenger controls, tinted windows for privacy, ample legroom, immense comfort and a professional chauffeur. You can also arrange to have the car service accommodate your traveling. Perhaps you plan to be touring different attractions, a sedan service can get you everywhere you need to go and back safely to your hotel, overnight destination or to the airport. A sedan is also perfect of any special event - a prom, wedding, anniversary, birthday, sweet sixteen and many more. You’ll arrive in style and comfort and be guaranteed safe and reliable travel. Your chauffeur will be there to assist you. Arriving in a taxi can be embarrassing and unreliable and limousines can be too flashy and expensive. A sedan town car will be guaranteed to be looking new and fresh. Phoenix sedans are also perfect for corporate travel. Treat your clients, business partners and employees to reliable and luxurious transport. Offering the best to your clients and employees means you’ll get the best back. They’ll love the courteous chauffeur and traveling in comfort. Town Car services also offer business accounts for frequent users. Desert Coach Transportation provides the best in Limo Services for all your Limousine needs including airport pickup, airport drop off in the Greater Phoenix, Arizona area.